Need a new boiler in Chesham? Get FREE no-obligation quotes now! 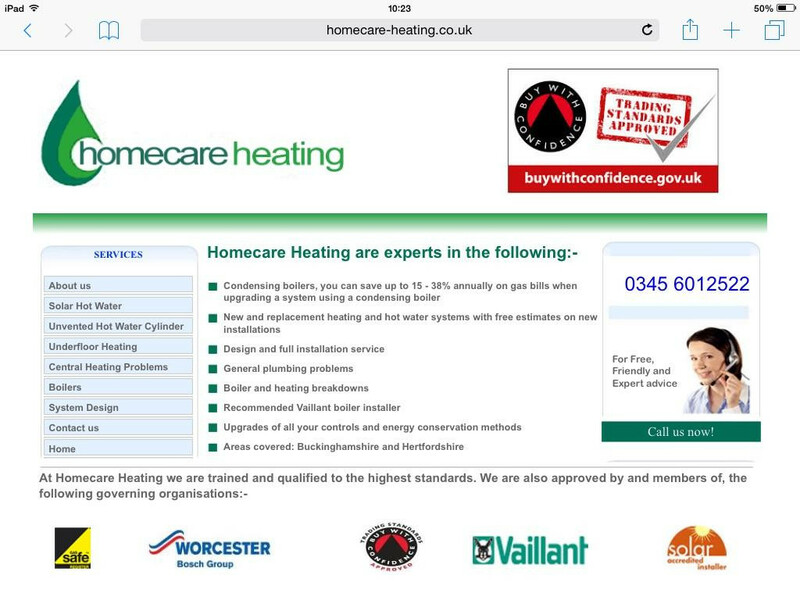 Homecare Heating ltd are Gas Safe registered heating engineers who supply and install gas boilers. For similar replacement boiler companies in this area please visit the Chesham boiler page. 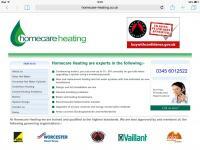 Homecare heating are qualified to the highest standards. The staff are approved by and members of the following governing organizations: Gas safe, Buy With Confidence Trading Standards Approved, Solar accredited installers, G3 unvented hot water cylinders, building regulation qualified and a Vaillant boiler manufacture accredited installers.